When I released the Mystical Island Trilogy paperbacks, I spent some time looking back over the experience of creating the books. It was a fantastic trip down memory lane and it allowed me to share a lot with my readers about how the books came to be. 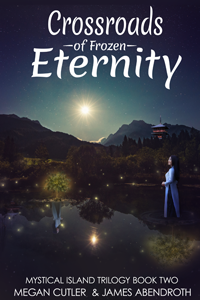 Now that Eternity’s Empire is ready to make the same journey, it seems only fitting to take a look at its creation so far. I’m still writing this story, still discovering more details about the setting and characters. So it will be interesting to see how looking backward enriches the journey forward. Pretty much all the books I have written so far originally came to me as dreams. It’s not where I get all my ideas, but it is where I get a lot of them. This particular dream featured the characters from Sailor Moon as priestesses looking for ancient temples once devoted to their worship. They each needed to reach these temples by a certain date and time in order to allow Sailor Moon to return to the moon – though why she needed to do so, I don’t know. That was the extent of the details the dream provided. I jotted it down, stuck it in a folder and forgot about it. When I finished writing the Mystical Island Trilogy, I knew I wasn’t ready for another series of big releases. I still had a lot of marketing to learn before I was ready for a big budget launch. So I decided to write a series of serial shorts that would keep me publishing but also allow me to try new marketing tactics. That meant finding a story suited to episodic format. Of course, I couldn’t steal the amazing characters from Sailor Moon, so I started asking why priestesses would be looking for ancient temples and why those temples didn’t seem to be in the same place anymore. I decided it would make more sense if the characters were goddesses trying to get back to their original homes and started researching myths that might be interesting to explore. I admit, the series bears little resemblance to the original concept, but that’s because I use the garden method of story development. By the time the flowers bloomed, they had evolved quite a bit! How did the cover(s) come about? It’s no secret that my artistic talent is limited. I realized quickly I couldn’t afford a cover artist for monthly releases, and I couldn’t ask a friend to commit to a large scale project without anything to offer in return. So I started digging through stock photo sites and brushing up my Photoshop skills. Stock photo site offerings have improved a lot since I started doing this, so there’s always a ready pool of images, if you’re willing to devote time to looking for them. I found a tutorial for making photos look like illustrations and went from there. The results may not have been spectacular, but I’m fairly proud of them. To make things simple, I chose images matching an item from each chapter. The first chapter was difficult because I wanted to focus on the goddess shrouded in crystal. But photo manipulations weren’t easy to come by on free stock photo sites at the time. So I had to make this one myself. I’m pretty pleased with how it came out, considering I just fiddled with it until I thought it looked reasonable. The rest of the covers were easier. I associated the light of eternity with the aurora borealis. Since the story takes place in the Antarctic, this would technically be the aurora australis, but the image works. A clock made perfect sense to mark the entrance of Chronos. The last two chapters proved more challenging. I didn’t want to use a traditional reaper for Muerte because she isn’t a typical reaper. Nor could I find a Mexican painted skull image I felt I could respectfully use. So I focused on the title instead, and managed to find a dancer in a dress matching Muerte’s colors. This could easily be considered her human form. Finally, I focused on the ritualistic nature of the final chapter and chose a smoking chalice and some mystical looking circles. It’s my least favorite of the bunch but, hey, it worked! When the time came to collect the first five chapters together, I wanted to feature a character on the cover. 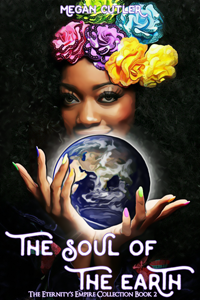 Most fantasy covers feature one or more characters, usually to give the reader someone to identify with. At the time, my options were limited and it took a lot of searching to find an image I thought could pass as Aeternitas. Even after locating a suitable model, it stretched my Photoshop ability to its limits to make her match the character description and add her to the collection’s title image. But in the end, I’m satisfied with how the cover turned out. It fits the theme of the first five chapters perfectly! What kind of Soundtrack plays while I’m writing? I had, however, started using mynoise.net. This is a superb background noise generator because it isn’t a set of static sounds that play on loops. Instead it features a series of harmonizing drones which have been recorded and specially calibrated to mimic specific sounds, such as rain or waterfalls or music. 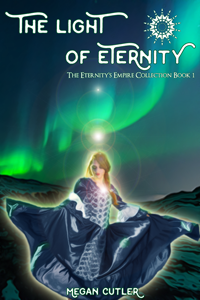 My favorite sounds for working on Eternity’s Empire include Rain on a Tent, Aeternitas (not named for the character, but still cool! ), and Canyon Spirit. 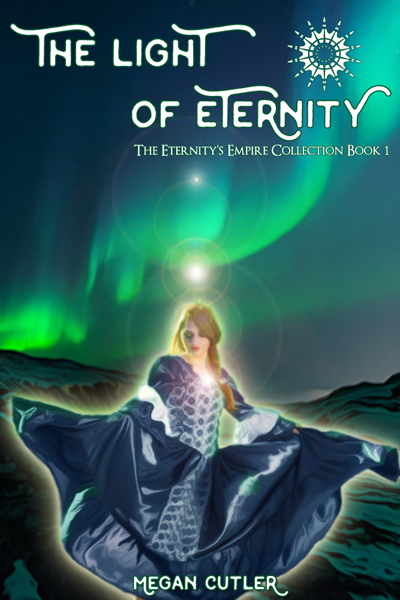 I hope you’ve enjoyed this look at the making of Eternity’s Empire. 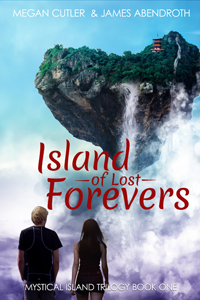 When I released the Mystical Island books, I devoted a month of blogging to each one. With everything going on (and regular releases for the series ongoing), I’m not sure I have the time for that. BUT I have prepared another extra special look at the making of this series for Friday. See you then! And with it, five ancient goddesses. The special archaeological dig in Antarctica was supposed to be a path to redemption for Erica Brown, a chance to escape university conduct probation and looming threats of expulsion. But a chance to explore the dig’s prized temple ends in disaster when Erica damages the site’s most valuable artifact. Now she and her friends are haunted by strange visions and hunted by mythological creatures. 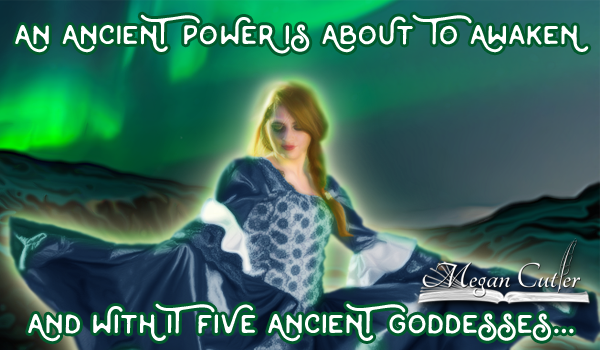 Worst of all, no ancient goddess chose to work through Erica. 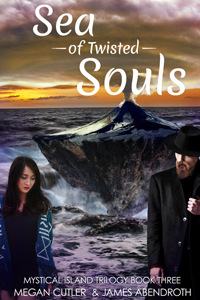 Her next misstep could be a death sentence and she’s powerless to help her friends. United by their plight, the girls struggle to make sense of the situation while preventing further catastrophe. Can Erica discover her hidden strength in time to solve the mystery?